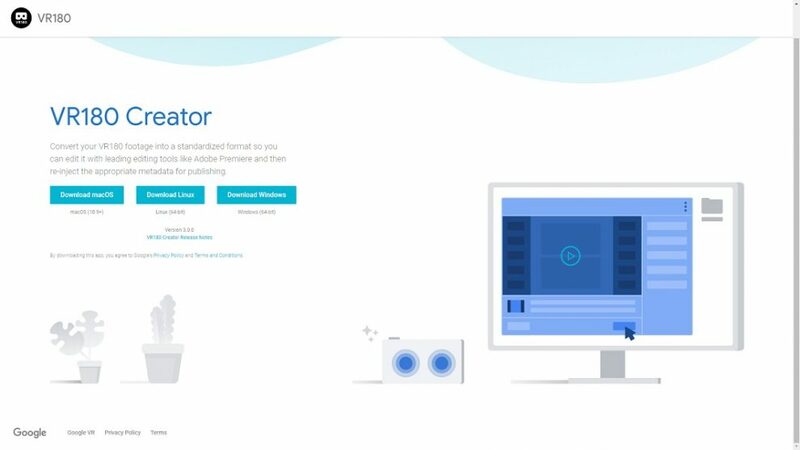 Google’s VR180 Creator tool for injecting VR180 metadata into videos, is finally available for Windows. The tool had first been made available on Mac and Linux. The tool has several functions. First, you can convert VR180 footage into a format that is suitable for editing in a conventional photo or video editor. Second, after the photo or video is edited, the tool can reinject VR180 metadata into the edited photo or video. You can download the tool here. Thanks to Kandao’s Ivy Guo for bringing this to my attention!